Sometimes life happens and your registration needs to be cancelled. Don't worry, just follow the steps below and you can get this resolved quickly. 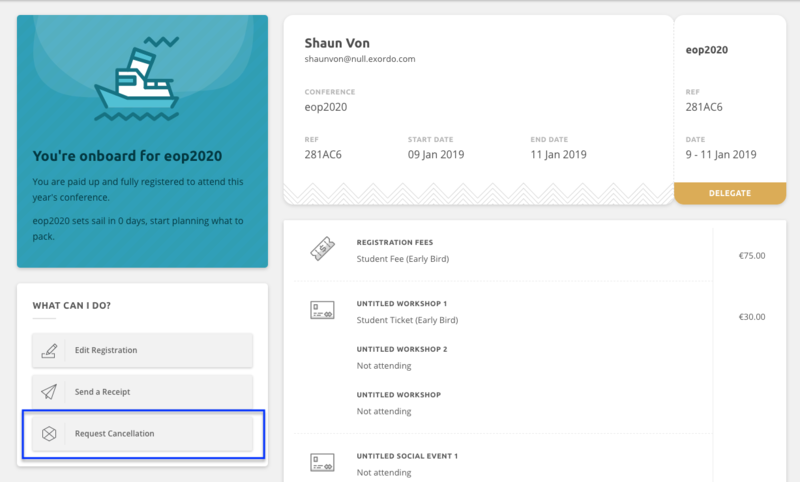 The first thing you must do is log in to the conference dashboard. If you are an author or a reviewer and have logged in previously, you should make sure to log in with the same email that you are already using for this conference. 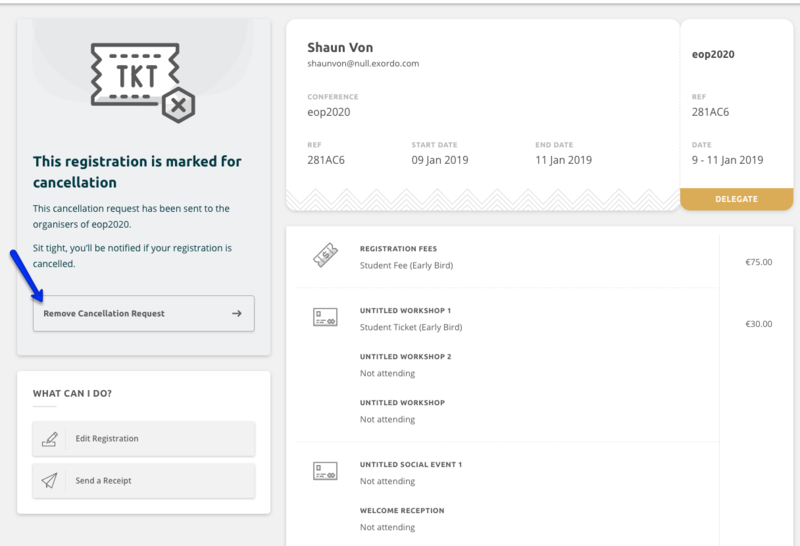 Once you have registered, you will see My Registration card on the dashboard and option to View more details about it. Clicking on this will take you to your Registrations hub. You can request a cancellation for your Registration or for any other delegate that you registered. Follow the View Details button appearing next to the registration ticket that you would like to cancel to see more options. From your Registrations hub, you can now Request Cancellation of your registration. You will see a new message on the screen asking you to confirm your action. You and the conference organiser will receive an email confirming the request. You will see that the status of your registration changed to Marked for Cancellation. You can also remove the request at any time if you change your mind. Why can't I change my registration?